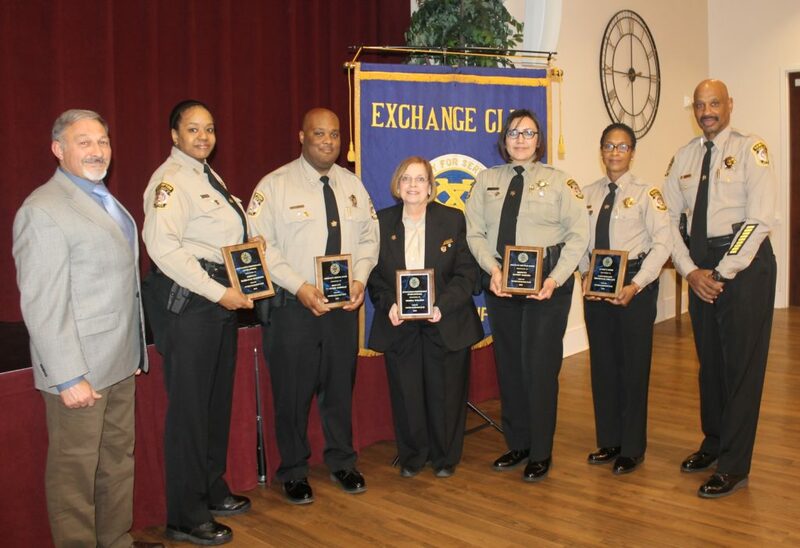 The Wythe Exchange Club hosted a dinner and awards ceremony in February to recognize their community partnership with Sheriff B. J. Roberts and the Hampton Sheriff’s Office. Sheriff staff and workforce crews have supported and assisted the Exchange Club with events and projects throughout the year which have afforded them the opportunity to assist so many Peninsula residents. 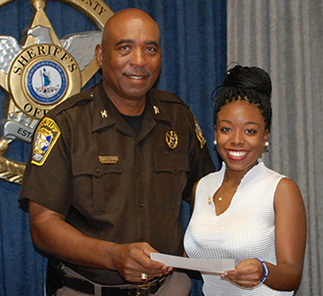 Club members presented awards in recognition of the outstanding accomplishments of Hampton Deputies in 2018. Pictured from left: Wythe Club President, Mike Schetting, Deputy M. Harding (Outstanding Sworn Officer), Deputy T. Gorham (Community Service Award), D. Wilson (Outstanding Civilian), Deputy K. Zapata (Deputy of the Year), Lieutenant M. Nolley (Sheriff’s Award) and Sheriff B.J. Roberts.